Driven by their founding principle to ‘Celebrate Life Every Day’, Swisse are committed to delivering a best in class digital experience. 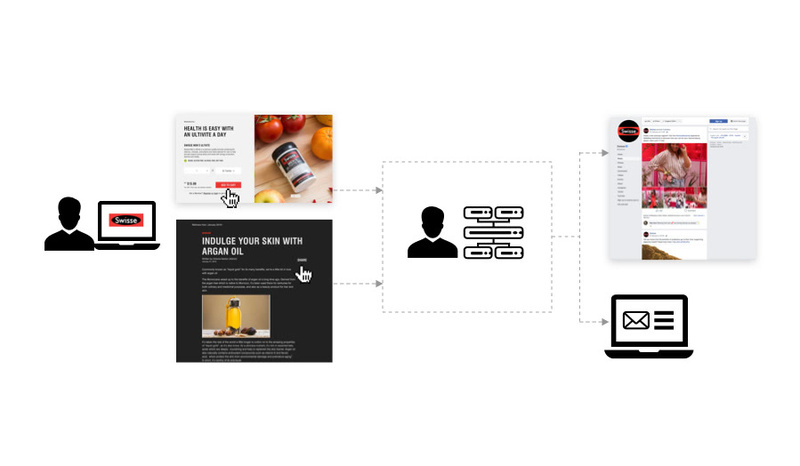 Inlight partnered with Swisse to deliver on that promise for their digital platform swisse.com.au through re-architecting the IA, creating a flexible & modular design and hero-ing the Swisse story. The existing partner network within the Swisse ecosystem encompassed a global team, trusted brand agency (who were going through a rebrand at the same time of the website project), development partner, and of course all their science and regulatory teams. Inlight joined this high performing network and quickly started to extract the best information and deliver a solution that exceeded expectations while creating an enjoyable client experience. Acting as a repository for information, we engaged stakeholders throughout the Swisse operatus in a series of grouped and one-on-one sessions, consistently showcasing what we’ve learnt and what we’ve yet to find out in presentations ranging from direct to the project team through to international video conferences. A core value of Inlight is to collaborate, and this project allowed us to collaborate extensively with the existing partners, from Noisy Beast for branding guidance and Revium for technical implementation, as it was vital that we work as a team with these businesses to extract their insights as well. 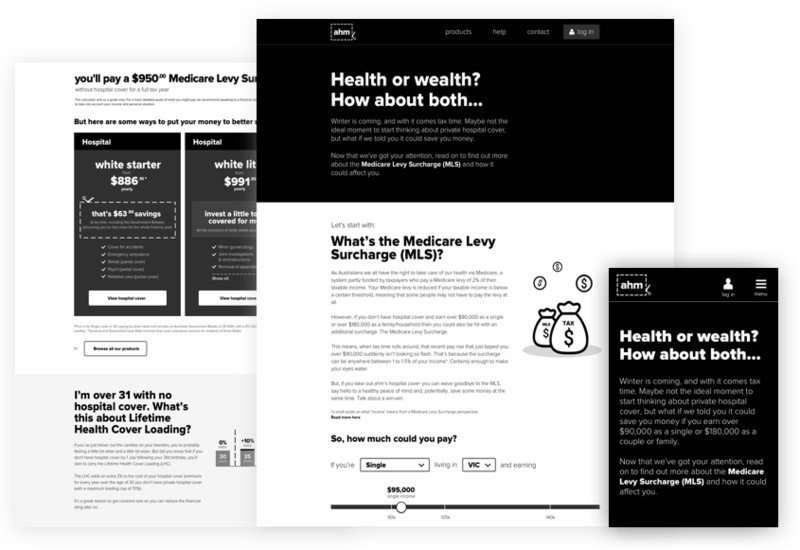 Leveraging our Listen+Think methodology, we undertook a set of activities to extract as much information from a business and customer point of view, and start to architect a new experience. Delving deeper into the stakeholder needs and wants allowed us to develop a data schema for Swisse - a first for them as they begin to better understand their customers in the digital space. 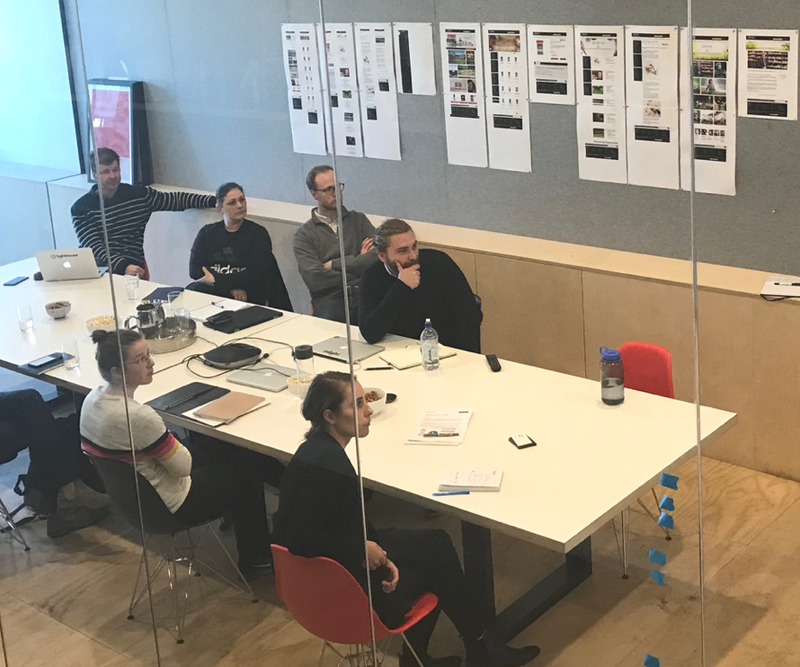 Defining the data allowed our creatives to re-imagine the way users navigate content and balance the needs of telling the Swisse story and making product discovery (and purchase) easier. 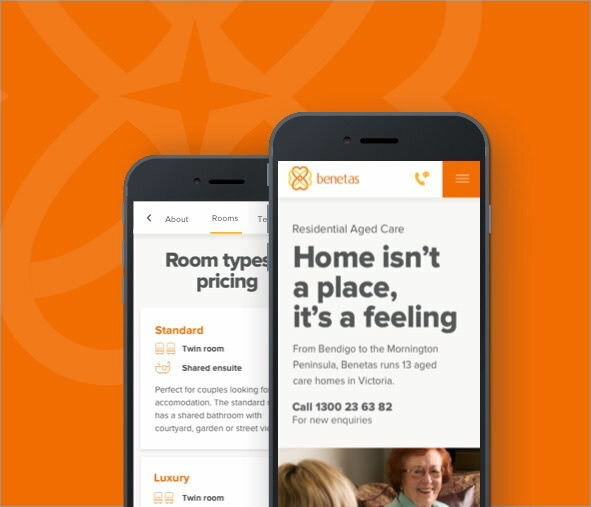 "Inlight has helped us to better define our website purpose and design with a solid data foundation, enabling us to unlock the potential for personalised experiences driven by consumer behaviour on the website and beyond." 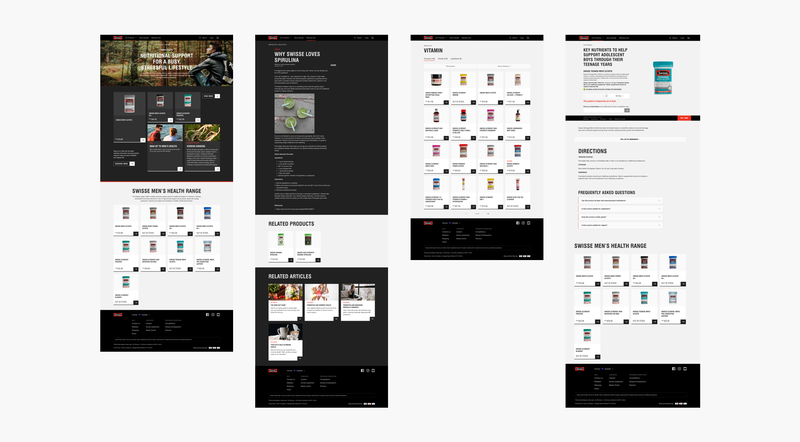 Creative concepts & designs needed to be future proof, creating an exciting challenge to ensure an intelligent, flexible modular design system was developed for Swisse to support their future campaign and content needs. Working closely with Revium, we were able to mitigate a common pain point for many clients when using two different service partners: the handover process. Revium were key to our design process as we openly shared our wireframes, design file structures and design visions throughout the project ensuring the smoothest possible handover from one company to another. We welcomed feedback along the way and collaborated closely. 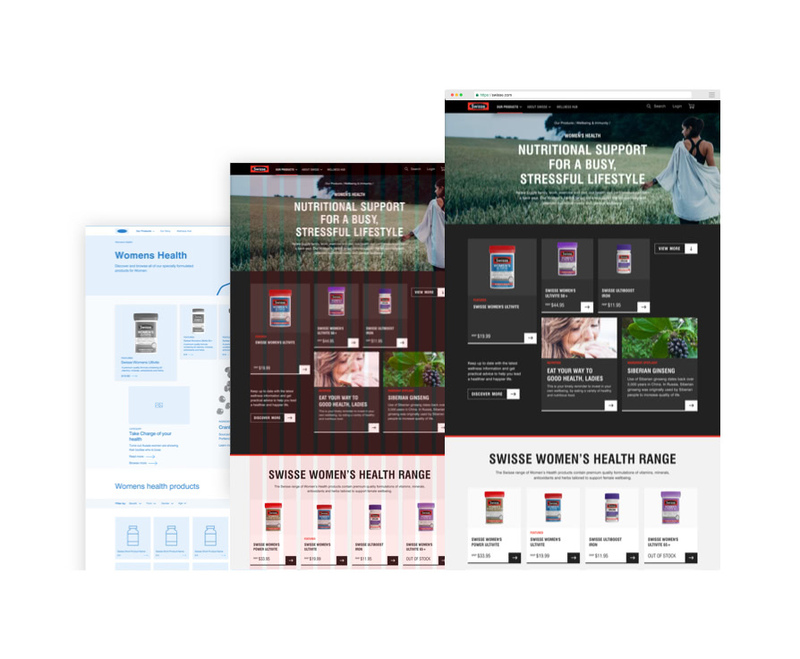 Their extensive knowledge of the existing CMS platform used by Swisse was invaluable to ensuring our work could be effectively delivered. 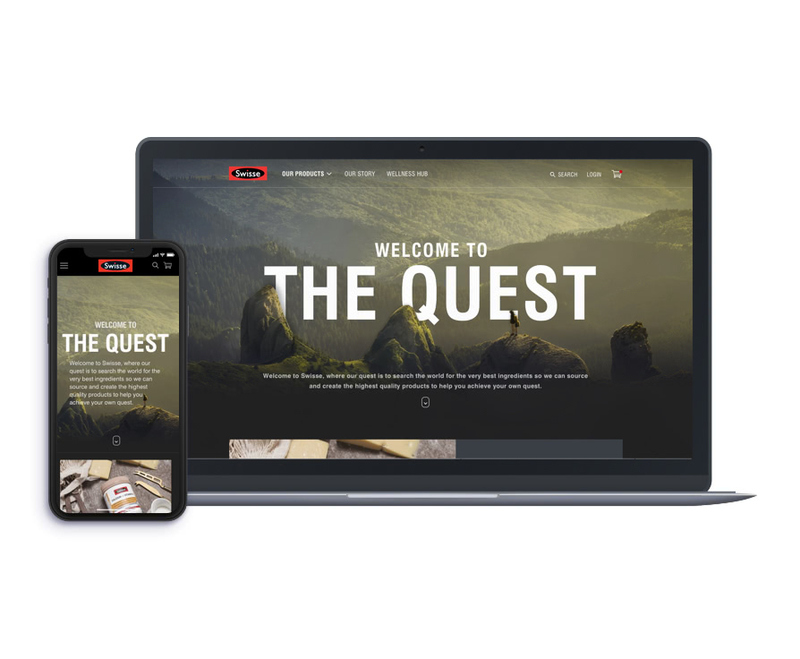 "Inlight has allowed us to create a user experience that is vastly superior to its predecessor, and lays the foundation for building on our vision of generating increased D2C revenue in 2019 and beyond."